When it comes to cleaning supplies, many of the large hotel chains have contracts with large suppliers. That means the same, heavy-duty, often generic cleaners are used in every room on every property. 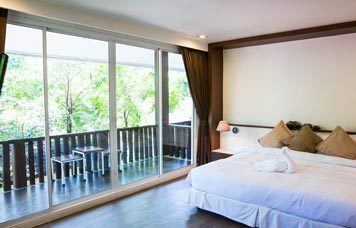 However, smaller hotel outfits, including single-property companies, boutiques, and custom resorts, are listening to the customers’ requests for all-natural cleaning products. Many guests book their stays largely by what sort of cleaning products the hotel uses. If the hotel uses potentially toxic, chemical-laden cleaners in the rooms, then the guest moves on to another option. If you run a small hotel or resort business, you may want to consider switching to Melaleuca products for your cleaning needs. • Laundry detergent. Hotels wash a ton of laundry, which is why they purchase their laundry detergent from a bulk supplier. It would be a huge cost not to. However, Melaleuca detergent, called MelaPower, is 6x concentrated, which means a little goes a long way. This natural detergent is biodegradable, safe on clothes, and safe on skin. It comes in three scents as well as a scent-free option for guests who may be sensitive to perfumes. • Disinfectant. Hotels usually do their germ killing with chlorine bleach. However, chlorine bleach can be dangerous, harmful stuff. EPA-approved Sol-U-Guard botanical kills 99.9 percent of germs with the all-natural power of citric acid and thyme oil. Using a cleaner that doesn’t have a safety cap brings peace of mind. • Stain remover. Sol-U-Mel is a 3-in-1 cleaner that removes stains, deodorizes, and boosts cleaning. The secret is all-natural melaleuca oil, which has special penetrating and deodorizing properties. You can use this cleaner, and all other Melaleuca cleaners, without having to wear gloves. • Glass Cleaner. Most glass cleaners rely on ammonia to get the job done. This makes them potentially harmful and very bad smelling. Clear Power uses all-natural ingredients so there are no harsh fumes. It’s also super concentrated to last a long time. Melaleuca also manufactures and sells personal-care items and toiletries, including the travel-sized Gold Bar (Melaleuca’s top-selling soap). So, if you wanted, you could not only clean your entire hotel with Melaleuca’s products, but you could stock the rooms with natural Melaleuca hand soaps, bar soaps, shampoos, and lotions.